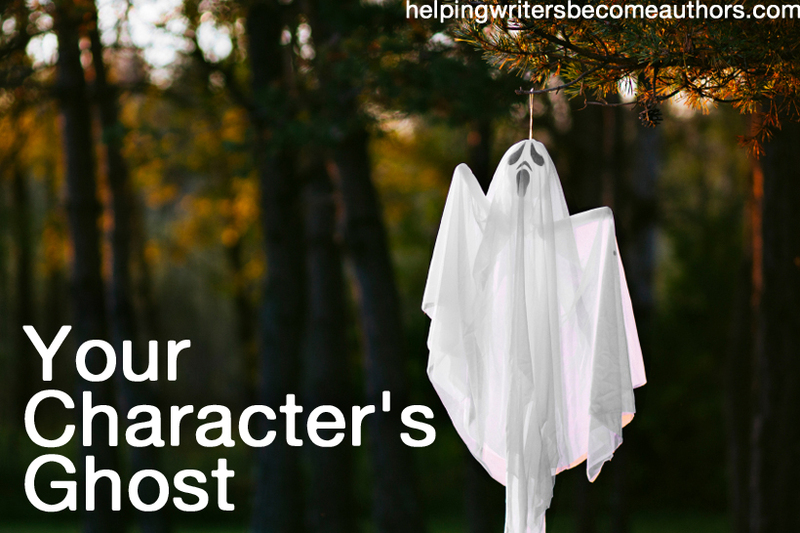 The ghost will often be a part of your character’s backstory, and readers will discover it only bit by bit. In these cases, the ghost can often provide a tantalizing mystery. 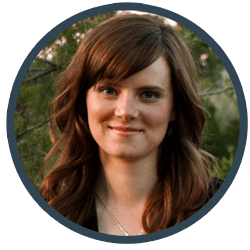 The why behind your character’s belief in the Lie will hook readers’ curiosity, and you can string them along for most the book with only little clues, until finally the ghost is presented in a grand reveal toward the end. Stay Tuned: Next week, we’ll talk about how to begin your character’s arc by introducing him in a Characteristic Moment in the first chapter. 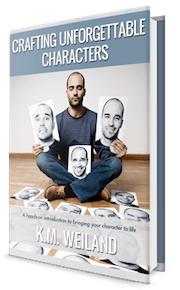 Read Previous Posts in This Series: Part 1: Can You Structure Character? Tell me your opinion: What is your character’s ghost? I have a ghost for three characters so far. The heroine’s brother: The Lie the heroine’s brother believes is that if he failed one family member, he’ll fail them all. The reason is because his Ghost is the fact he wasn’t fast enough to save the heroine (aka his sister) from falling into the river, which is how she ended up separated from their family. Ever since that happened, he’s felt like he failed her, and he’s scared that he’ll eventually fail the rest of his loved ones. The hero’s father: Not sure what the Lie is yet, but his Ghost might be how his brother died. The hero’s cousin: The hero’s cousin is the captain of the guard, and since the story is partially based off Robin Hood, he’s supposed to be the Sheriff of Nottingham and Sir Guy mixed up. His father was captain of the guard before him, which was before the rebellion happened. Now what happens is he (the cousin’s father) is accused of treason, and when no evidence emerges that he’s innocent, he’s sentenced to be executed. This is what is going to prompt his brother (the hero’s father) to join the rebels. But after the execution, evidence he was innocent all along is going to show, and that is what incites the rebellion. But the rebellion could also be incited by the arrest, which would then prompt the hero’s father to join the rebels, due to them claiming that they can help the hero’s father help his brother escape. But of course, the rebels are backstabbers, because after the cousin’s father refuses an order from them (an order that he believes to be wrong), he’s killed. So, his father’s death is the cousin’s Ghost, and the Lie he believes is that. . .standing up for what’s right will only lead to death? He is just a kid when it happens after all. Perhaps he’s even a little jealous of his cousin, because he (the cousin/hero) still has his father. But then again, the cousin is really torn up about killing his uncle in the Climax, because after his father died, he became an orphan, so his uncle and aunt (the hero’s parents) raised him. Then his aunt died and his uncle was pretty much the only parental figure he had left in his life. Maybe the heroine’s Ghost could be the separation from her family? She was six when it happened. Or maybe she doesn’t have a Ghost yet. The Lie the hero believes might be that his father is disappointed in him? No, wait, that was his fear. Wait, a Lie and a Fear can be the same, right? Anyways, he also doesn’t want his father to know he’s the Robin Hood vigilante, because then his father will worry, like when the hero was a child and he was sickly. I know they’re not on the best of terms when they first interact in the story. Mmpf. . .writing is hard. You have an awesome series, here! I was very curious about creating believable characters in a story that I plan to tell through an RPG, but I have never written a story with any sort of arc or to any degree of notable complexity. I know for sure that this series is bringing me closer and closer to creating something that I can be proud of. Thank you for this series! I can’t wait to read the rest. Great post! When you start interviewing your characters would you consider the ghost for all of them or just the MC? Never hurts to look past the surface on supporting characters, and finding their “pain” is a great way to mine them for extra dimensions. However, you don’t *have* to look for a Ghost for any character who won’t be displaying a prominent arc. I am still struggling with this one for my new WIP. Can the Ghost be something the Lead does not consciously know – like coming from another background as she is made to believe? (she has been stolen from her real family and originates from a group of people that is heavily exploited by her kind and thought of as “lesser humans”. She will discover that during the course of the story, but it does not really connect directly to her Lie/Truth – Want/Need setup. She will eventually learn the Truth: All life is valuable and all humans are indeed equal. That will prompt her to address her need: a purpose worth winning/fighting for at the end of the first book. I do believe her abduction as a toddler even though she does not remember it would be her ghost, even if it does not prompt the Lie. But making up a “lack of love and approval” incident in her early years is …. cheesy and somehow over-contrived. That does, of course, happen.. but more like a general and repeated behaviour her father shows towards her. How exactly did this teaching happen? Maybe the Ghost (trauma) is the way the lies were taught. The Ghost is said to be the reason why the character believes the lie(s) in the first place. Why does the character believe “(Supremacy, Competitiveness, Worth by Winning)…Life is a game and only the winner is worthy.” ? thanks so much for taking the time to read and reply to my comment here – it’s very much appreciated! I found your 5 reporter’s questions in an earlier reply and liked those, too. I have come to realise only the 1st half of my Lead’s LIE is actually stated to her in the same exact words. The 2nd half is based on experiences. –> motive/goal of father: because he, like the rest of the upper crust they belong to, thinks of her origin as lesser humans and he was not supposed to take her in. In fact he stole her from a high security facility. His goal is to not get caught and loose his position within the society as a trustee of their “leader/king/head”. This results in his reasoning he’ll have to “bring her up to speed” so that nobody would notice he took her from the low-class. He hope to advance her abilities by doing just that, thinking otherwise she will attract attention by not meeting the standards. When: beginning from an early age, over and over again. Where: at first at home. later, the society reinforces the Lie. How? Well, since they don’t really age an can live for a very long time (10-fold time span – think 1 year normal age equals 10 to 15 their enhanced ageing process) the society had to come up with something to DO for the population. And they came up with contests and competitions of various kinds to keep the people busy and happy. So she sees others (adults) engaging in the same pattern: compete in a “game” – the winner is praised accordingly. This is how the LIE is reinforced, too. What is she avoiding in believing the lie? Deal with the obvious discrepancies in what she sees and what she is told. She (still) feels dissent over the “lesser-human” teachings. She can’t spot a difference in the few people of the low class she sees/meets. She is still empathic enough to notice their plight and the unfairness of it. But she focuses on the games to distract her from these nagging feelings that are in dissonance with her peer group’s views. -> Of course, as soon as I’ll have her “displaced” in the world of the lower-class by end of act 1, she’ll learn quickly enough. Believing the lie – and especially the 2nd part: only the winner is worthy – gives her life purpose. And it explains her fathers behaviour – how he reacts toward her when she “wins” and “does well” – his “love” (attention and affection really) is always linked to her progress and success. This part is reinforced by her society insofar as that the winners get attention and praise at first (big tam-tam for the winner of the annual contests) AND that only those successful in the games are advanced in status up to a point where they are introduced in the innermost “circle of confidants” – that is lead by the big boss. This is the ultimate goal for the LEAD – to prove her worth by becoming a member of this elusive circle. All these behaviour patterns by her father and society stand in stark contrast to her mothers behaviour. She, who lost a child and “got” the MC as replacement, is nearly suffocation her with attention and love and care. Since the mother is not highly competitive, she never made it into the “circle of confidents” and therefore, like the majority, does not know about the true mechanics and reasons for the longevity and has therefore reason to believe “her substitute child” will die after a normal life-span. The clinginess and suffocating love leads to overprotection the MC wants to remove herself from. It makes her feel incapable and weak. So she rebels against it and shows somewhat of contempt towards her mother. This, too, stems from the GHOST – her abduction and the subsequent secrecy connected to it. OK … this turned out VERY long, I am sorry. But it was a great exercise to go ahead and break it down into these 5-questions. Katie suggested earlier, that the resulting dissonance between father’s and mother’s behaviour in her childhood is her ghost. This would make the abduction by her parents after death of their own child the Ghost of her parents! So in the end, Katie and you both had good input for me. Thanks! If the Lie is “only the winner is worthy” then what kind of action would that character take as a result of believing it? To treat other people badly because they didn’t win a Game? To treat self badly because he didn’t win a Game? Conversely, to treat “bad” people favorably because they did win? And “worthy” of what? In daily life, do you classify people as “worthy” or “unworthy” on the basis of whatever — so that the only problem is getting the right basis? Or is there something wrong with classifying people as “worthy” or “unworthy” AT ALL? In which case, there’s a deeper Lie here, buried within the one you’ve named: that one person has the right to judge another, or that “worthiness” is among the things that we have the right to judge. We’re mostly looking for self-destructive actions here, although actions that are destructive to other people do count as they are ultimately self-destructive since we live in a community. I’m interested in the origin-of-evil story here. Your world has “uppers” and “lowers” and also has a Big Boss and also has life-extension (for some) and also has Games. (Did I miss anything? What other features does it have?) So which came first? What caused what? Can you sketch out a brief sequence of events? Did this country start out like ours, and then what happened? Or did it start out like a communal utopia? Or did it start out like the ancient world, where uppers and lowers have always existed? Does the society as a whole have a Ghost? And is it a country on our Earth? in the future? on Earth in a different timeline? on a different planet? or in the past, perhaps? Interesting about the “secrets” — what’s that about? What are the “consequences for others” of winning the games? Obviously if she wins, others must lose, but do you have something more in mind? If she lets someone else win, then she loses, and that’s really no better. Can she refuse to play? “the Truth: All life is valuable and all humans are indeed equal.” We have the old debate about equality-of-opportunity vs. equality-of-results; can you say more about equality and how it relates to your story? “Life is valuable.” How does this relate to your story? Are no-value lives disposed of in some gas-chamber type system? What is at stake in the Games besides praise? How are participants chosen–does everyone play once in a lifetime, or every year? Or do only a few play, like gladiators? Value is determined both by economic standing and by Game outcomes; how do these two [measures] relate to each other? If a “lower” wins does he become an “upper”? It seems not, as the “lowers” are not just poor but (perceived as) unteachable, so it’s more of a permanent caste system than a capitalist system. “her need: a purpose [in life].” OK, did she have a purpose before her Ghost happened? What kind of Lie would turn you away from pursuing your purpose, or thinking you have a purpose, or wanting a purpose? How does someone develop negative feelings toward purpose? Usually this happens when they try to play the “game” of pursuing a purpose (usually somebody else’s purpose, I’m thinking of school or a job) and disaster ensues. “Don’t play that game,” goes the Lie. “It will hurt you, or you will hurt somebody else. Drop out and wait for the capitalist system to be destroyed. Here, have some drugs.” I’m again stumbling over the two types of games. In the economic game, you pick a purpose and pursue it and (hopefully) make money. How does purpose relate to the Games? The abduction can be the Ghost, but in order for it to catalyze the Lie, there has to be a connection that the protagonist is unwittingly carrying with her. For example, even if she doesn’t remember the abduction, perhaps she always felt that she didn’t quite fit in. Or perhaps the Ghost is her brainwashed childhood with her adopted parents as a result of her abduction. thanks a lot for your input. I replied to Rod’s comment above (in length … sorry about that, but was a good exercise 😉 ) and included your comment in the reasoning. Lot of themes here, and not 100% harmonious. He risked his position by stealing her from a high security facility. Why on earth did he do that? Another Lie? : Our (upper-crust) life is NOT sustained by exploit of others. Another Lie? (Or the same one? ): A game and winning said game ARE the sole meaning of life. But what about reproduction? Another Lie? : Life has. NO natural expiration date. What is she avoiding in believing the lie? Well, what would happen if she stopped believing it? What if EVERYBODY stopped? Does the “lower” society have its own Lie(s)? Only the winner is worthy – of WHAT? Is survival at stake in these games? Only praise? Job adnavcement? Something else? The innermost “circle of confidants” – is that REALLY a desirable position to be in? Another Lie? How does the big boss get to be the big boss? More games? What is his Lie? WHY is the mother not highly competitive? And what is her Lie? It makes her feel incapable and weak. Is there another Lie here, about strength? What exactly is this overprotective smothering? But for the privileged class, maybe life IS a game. And meaningless? Marie Antoinette believed that everyone was like her, and had cake to eat. The peasants are rioting because they don’t have bread? Well, why don’t they just eat cake? When she was very young her played “learning games” with her. Is this the teaching of the Lie? But everybody does this; is it always teaching a Lie? What’s different here? Something more must go along with this, to teach the Lie(s). How does he treat her when she “wins” and “loses”? (Or when she doesn’t want to play, or wants to stop, or wants to change the rules or play some other game?) Bill Gates’ grandma made everything into a competition. Swimming in the pond? Who can swim to this log the fastest? Wooza! You bring up a lot of good questions and suggestions! Thanks for that and all the effort. Very much appreciated. I see I may not yet be quite there with the lie… will digest what you wrote and digg deeper – especially regarding the interaction and relationship of the family (Lead, mother, father) and their connection to society. The father’s motive to take her from the facility: twofold. 1) his beloved wife is in pain. She has recently lost their child and is hurtling toward depression and suicide… bearing a child within the society is a great honor … they allow few children to be born due to population regulations. So being choosen, bear and deliver a child but loose after it’s born is the ultimate failure for the mother. He seeks to protect her. For that he is willing to cross the line and steal a similar looking child of the same age. 2) curiosity. Can the low-class be taught? Will have to look deeper into your other ideas & question…many good points to think through. Why is this lower-class (poor) child kept in a high-security facility? Around here, they live in foster homes or on the streets. The story function of the Lie is to push the character toward the Want and away from the Need, right? For each candidate Lie, let’s ask: if I believe this, what does that belief cause me to do and to move toward (the Want), and to avoid doing and to move away from (the Need)? What does the Lie “only the winner is worthy” steer you toward and away from? Toward always trying to win, of course; what about your treatment of others perceived to be winners and losers? Are the “lowers” all perceived to be losers, and the “uppers” all perceived to be winners? But then we have the Games, so two contradictory methods of identifying winners and losers. Or do people shift classes as a result of Game performance (upward and downward mobility)? What if you set the Lie aside for a moment, and look at the trauma (loss of child; abduction of other child; something else?) and identify the Needs that started to be neglected, and the artificial Wants that started to be pursued instead, as a result of the trauma? Does the society as a whole (personified maybe by the Big Boss) have a Ghost that precipitated its Lie(s)? Discovery of life extension: interesting, not something I’d normally consider a trauma. Does the society as a whole have neglected Needs and misguided Wants connected to the Lie(s)? A need to die, a need to grieve? A desire to play Games to distract themselves from facing the fact that they’re trying to cheat nature? (Reminds me of Frankenstein) Is life extension connected to something else, some bigger project of cheating or denying nature or God? What about the society’s Need to take care of its poor? Did the upper/lower caste system begin at the same time as the Games, as a result of life extension? Why is life extension available only to the “uppers”? Is there some artificial reason–the result of a Lie (“not enough to go around”)? Or was life extension discovered in a society that was already upper/lower? Could it be that they already had Games? Did the Games. Have a different purpose before life extension was discovered? Was it discovered by a cult that had religious beliefs at odds with the (formerly healthy) society? Changing subject: Why does the mother believe the child was lost–what does she blame it on? Did she exercise a lot, and now believe that exercise causes death? Does she blame it on the father, or weakness, or competition? Did the father talk her into entering a swimming competition to stay in shape? Or was she overprotective of the unborn child, if there is such a thing? How does she feel about the idea of a stolen replacement child? Does the mother even know that the switch happened? What if your child died and your husband substituted a different child, all without telling you? At some level you’d know; maybe she’s in denial, she’s repressed the memory, so her Lie is that this is her kid and “everythig is normal” and she doesn’t have to grieve? What Need would be neglected and what artificial Want would be pursued as a result of that? Katja, you’re welcome. So the loss of the baby (miscarriage) is a secret? I suppose the “upper crust” believes a number of Lies about the lower class? And I suppose vice versa: the lower class believes a number of Lies about the “uppers”? Does this child-stealing happen in the beginning of the story, or later, or in flashback? Before we learn of the child-stealing, we should learn of this curiosity that the father has, about whether the “lowers” can be taught. How does he demonstrate this curiosity? Does he try experiments, does he argue with his peers, is he told by some older wiser guy? Oh — if he isn’t sure they can be taught, then he’s taking an ENORMOUS risk, because if his theory is wrong and they can’t be taught, then he’ll be caught for sure. I suppose his theory is unusual. Why does he believe they can be taught, if his peers don’t? Do they know that he has this theory — has he argued about it with them? Or is it a secret belief? Oh I see, not miscarriage, but death of a young child. Still, they keep it secret? The child is too young for school, and just lived with mom and dad? Why does nobody else “miss” the child — nobody else ever routinely saw the child? Neighbors far away? No doctor? Do they have a housekeeper — a sympathetic “lower” who will keep the secret? Maybe the father has (secretly) taught the housekeeper and so is convinced it can be done? Hmm. . .well, I guess I’ll have to count out the one experience I’ve had, because my character doesn’t mind if she’s ignored. After all, she does want to be left alone. Maybe she tried too hard to impress someone or some people and it ended in disaster, which could have led to gossip about her and how she can’t do this or that right? Then she grew to crave being alone, because what’s the point of trying to impress people if they’re just going to always be finding fault? So. . .maybe her Ghost is insecurity? What else is going on with this character who wants to be alone? Well, if almost being murdered and then getting stuck with a grumpy detective bodyguard because of said attempt on her life is anything to go by. . . .
OK, this happens during the story? Not during childhood? Is it connected with anything in childhood? (Not that the Ghost must necessarily occur in childhood). What happened to make this character particularly sensitive to grumpiness? (Most central question) What about this character caused or triggered the murder attempt? What about this grumpy detective is particularly annoying? People often falsely impute cause. So if there was a murder attempt after she did x or while she was doing y, she can develop the Lie that x or y causes murder attempts. Take your pick: washing dishes, jogging, doing crossword puzzles, having honest conversations … But more to the point, something that she Needs to do, in line with the theme(s) of the story and the overall message you want to “say” to the reader. Does this theme of gossip show up in the story? Does the grumpy detective tell stories about her behind her back? Or listen to them? Does she try to impress the detective or the murderer or anyone else? What did she do to try to impress someone? Why was it a disaster? Did she only THINK it was a disaster because she holds herself to unrealistically high standards? Or the opposite? How is this past attempt related to any event in the story? And what else is going on with this character — what was her life like before the murder attempt? If there had been no murder attempt, what would her story be about? Ok, so to start, I started on this almost a week ago, so I’m not sure why someone wants to kill her yet. It could be a jealous someone, or someone who she humiliated or they thought she humiliated them? I haven’t decided whether the first attempt will happen before the story or during the beginning. The Lie may be “It’s no use being around people if they’re just going to continuously criticize you.” The Want, of course, is to be away from society where her every move isn’t criticized, and the Need has something to do with people. Perhaps she tried impressing a potential suitor? I guess gossip does show up – but the detective isn’t part of it. Also, the socialite does end up impressing him at one point without even trying. As for the detective, he’s only grumpy when he can’t solve a case, and at story’s beginning, there’s only one he hasn’t solved. He does have a Lie/Want/Need/Ghost; I just have the Ghost so far. His Ghost happened five years before the main story, and it’s the murder of his wife, who was pregnant with their first child. That one case he can’t solve is this one, since he hasn’t found the culprit yet. Oooooooh, I just got an idea! So, soon after the wife dies, the culprit is running away, and he/she runs into the society queen. And maybe she tried to help them, seeing as how they had blood on himself/herself, so and so happened, the chain reaction turned into the disaster, which is why people started criticizing her and it sort of turned into almost all the time. And then five years later, after the detective finally tells her about it, she puts two and two together and realizes that she remembers what the culprit looks like! What are the larger themes — what is this story REALLY about? The answer to that will, ideally, guide you in making these decisions (finding these other answers). What if it’s a romance? The woman and the detective complete each other — each has what the other lacks or needs? Why was the first wife murdered? (maybe another theme here) What happened to the child (who now has a Ghost too)? What if it’s really the child’s story? Or what if it’s even the first wife’s story, all told in flashback and illuminated by the present events? If the woman sees the culprit, was that a coincidence? Why is it that the same woman who sees the detective’s culprit is assigned that very same detective? (Coincidence is frowned on, so if you can establish a chain of cause-and-effect, some common reason why these two events happened involving the same people, you’ll be ahead. I say “common reason” because I can’t imagine that the seeing of the culprit causes the assignment of that detective. Are they all members of some club that causes them to land on top of each other all the time? Is it a really small town? Do any of your themes help provide a common cause?). If she puts two and two together, it should be long after the reader has had ample opportunity to put the same two and two together. I mean, this is a murder mystery and that’s the solution, right? And there should be false clues to false solutions also, so it’s not too easy for the reader. Blood? How does she react to blood? Does she volunteer at a hospital? This socialite who wants to be alone — is she paired with a detective who is alone but wants to be with someone? Why is he alone? How did the murder cause people to turn away from him, or him to turn away from people? Did the socialite’s attempted murder cause people to become sympathetic and try to bother her all the time with their gestures of sympathy (despite her desire to be alone which may be rooted in some earlier disaster)? Why would his pain express itself as an inability to be around people? Is he not only grumpy but clingy (thus triggering her worst reactions)? Does she trigger his worst reactions by being aloof? Socialite means rich. Where did her wealth come from? (“Steal it, marry it, inherit it”). Does she manage her money well or badly? Did this change with her trauma? Conversely, can we assume the detective is stereotypically poor? How does he manage his money? What do you want to “say” about money? Can’t buy happiness? Sometimes it can buy insulation — from other people, from problems — or illusory insulation, e.g. with drinking (another facet of that stereotype). Does he drink? Gamble? Does she drink, etc.? Whiskey vs. wine? What was the motive for the murder of the detective’s wife? Why was the detective assigned the investigation of his own wife’s murder? That’s one heartless police captain! Or was it not officially assigned to him? What’s going on with the detective who’s supposed to be doing that? I assume he’s falling down on the job, leading to conflict between the two detectives. What if you flip the genders? Male socialite, female detective? I recommend looking at that list of themes, and any other themes that resonate, while figuring out why the murders occurred. The corresponding Truths would be: “People aren’t just going to criticize” and “Even if people criticize you, it’s not necessarily a bad thing” i.e. “Criticism may be needed and healthy” or “Critics may be good people.” This suggests a character, probably a new one, who personifies this criticism: first this character is seen as an enemy, and finally as a friend. Or does the detective play this role? Does he criticize her? Does she criticize him? To personify the first of the two Truths above: a character who she THINKS is criticizing, but who really isn’t. And she finally realizes that the constant criticism which she thought she was enduring, was really all in her head. Oh, I thought the child survived. Maybe there’s another child, so the detective is a single dad; maybe he gave it up for adoption, or it was taken by Children’s Services. Of course, one Want is to have his wife back, but that can never be. And he Wants to solve that case and catch the culprit — nothing wrong with that. What other Want can come from the murder of a wife and baby? Maybe his Need is to move on from that murder, and marry someone else. Or maybe his Need is to get over grieving and pay proper attention to the surviving child. Did she die in childbirth? I know it was a murder, but it still could have happened in the hospital. Or maybe she died in childbirth but he THINKS it was a murder. Being in the business of detecting murderers, he just can’t believe that an honest mistake would kill a woman in a hospital. So during the daily grind, he developed a Lie that says all deaths are murders. So then the story is really about forgiveness — quite a twist on a murder mystery! The culprit was covered in blood because, of course, he worked in the hospital. The socialite assumed at the time that the blood had an honest explanation, but the detective later convinced her otherwise (he made her believe his Lie). What did this detective do before he became a detective? Does he have some other background? What happened to that career and why did he become a detective instead? Or did he want to become a detective even from high school? Was his father a detective or cop or something similar? Is his family progressing, or regressing — was his father more successful, or less? Same questions for the socialite: does she, or did she ever, pursue a career? Is her family on the way up or on the way down? So yes, his Want is to catch and punish the culprit, and it’s a misguided Want (the kind that works for a story!) because the culprit is really innocent. And his Need is to accept the truth that his wife’s death was NOT a murder, and to forgive everyone involved. Including himself. Wow … a murder mystery where the solution is that there was no murder! Of course there would be clues and anti-clues and false clues, as usual. These are all good questions and good ideas. . .I need a notebook. Matter of fact, it is a romance, and the detective is more like a Sherlock Holmes type. And they (the socialite and detective) do have a ‘criticism battle’ at some point. The wife is around five or six months along when she dies, along with the child. I’m thinking about the whole hospital thing and the socialite is a fifth-generation, I guess? Add to your notebook a list of all the forces and obstacles that keep the lovers apart–including personal flaws, conflicts of will and simple misunderstandings. Sherlock doesn’t seem the romantic type, but what do I know? Does he have enough flaws? So far we have grumpiness and possibly clinginess. I do think you’re passing up an opportunity for a good character by not having a surviving kid. Lots of trauma, plus plenty of complications for the lovers. Maybe you have the feeling that you want to avoid complications as a bad thing; but for a novelist, it’s all backwards: complications are good. And many of your readers will be in the position of trying to woo partners with kids — there are so many broken families and single moms nowadays. A story with an extra kid will resonate better than a story about a pair of pristine potential partners. What if the lovers have a spat, and when the socialite finally remembers seeing the culprit, she decides to withhold that information from him? What if the other detective suspects the SOCIALITE?????? And she doesn’t know her buddy is off the case, because he’s withholding information from her too, so she doesn’t know that the other detective is closing in on her!!! Hmm. . .thinking about adding a kid. . .
Part of the impulse against adding a kid, I think, is the idea of the “perfect tragedy” of an otherwise childless pregnant mom getting killed. But in a way, that’s too “pat.” More grief for the man if he has no surviving kid; but more to write about if he does. AND a kid would be one more annoyance for the socialite who wants to be alone. There’s a POV problem in what I wrote above (about the other detective suspecting the socialite): how do we know what the other detective is up to? Do we see his POV? Do we see an omniscient POV? Or do we see the information through the eyes of our detective who for some reason doesn’t understand what it means, though the reader will? Maybe our detective is drunk and about to pass out, and doesn’t remember it later. Hey, maybe we see through the kid’s POV, and the kid is present in a meeting between the two detectives (had to drag the kid along because some problem with daycare) and our detective goes to the bathroom or something and the other detective comments/gloats/brags to the kid, knowing or expecting that there will be no comprehension? What if the socialite likes kids though? Or at least tolerates them? If the socialite gets along OK with kids, then that’s one less source of conflict. But then the socialite can make friends with the kid and then participate in the kid’s internal conflict (in other words, we can see the kid’s internal conflict thru the socialite’s eyes/ears). Might be even better! When I say “participate in someone else’s internal conflict” — suppose you want to lose weight, but you also want to eat a slice of pie. That’s a conflict between present benefit and future benefit, or a conflict between the desire for good flavors and the desire for pride. Imagine an angel on one shoulder and a devil on the other (representing the Need and the Want, or two incompatible Wants). Now, along comes me, and you say “I want this pie but I also want to lose weight.” I can take sides with either the angel or the devil. I can say “oh, go ahead, have some pie” or I can say “stay strong, eyes on the prize, lose the weight.” So I’m participating in your internal conflict. The kid’s Ghost, I suppose, is the mom being killed. What kind of (legitimate) Need would the kid neglect as a result of that? What kind of (artificial and destructive or self-destructive) Want would the kid pursue as a result of that? Does the kid blame self for the mom’s death? Or blame the dad? Or something else? The police captain and the rival detective — were they on the job five years ago? What do they blame it on? Does the captain think that our detective’s performance has suffered as a result? What was the “origin of evil” in this little world? Motive for attempt on the socialite: her money? Somebody wants to inherit, or collect insurance, OR somebody’s running a con/scam to illegally scoop up her wealth? It has to be a motive to try TWICE. Or is that just what she thinks? Was it just a random street robbery, and nobody’s targeting her for a second attempt? Was it not even a murder attempt at all — do we have here a paranoid police captain who goes around assigning bodyguards for no solid reason? (but don’t use the same gimmick twice). What other traits does she have — what was her life like before the murder attempt? Is the motive related to money, but not in such a simple way? Maybe she owns a company that is doing some project that hurts the environment, or maybe a rival company wants the competition out of the way. Or maybe she’s. A philanthropist, donates money to the arts or whatever, and some rival philanthropist wants to be #1. Maybe she helps the homeless and it’s driving down property values and some ruthless real estate developer wants it stopped? (In my town, whenever someone tries to set up a homeless camp, all the neighbors get together and sue to stop it.) She donates to Catholic Charities and thereby runs afoul of an Islamic terorrist group? Or motive: revenge for past humiliation? That had to be a heck of a humiliation, to cause someone to try to kill her and then to try AGAIN despite that she has a bodyguard. I finally figured something out. It’s not just any old lie, it’s specifically a lie that causes the character to turn away from a legitimate Need and pursue instead a destructive Want. So the Lie is: “You don’t need x, and instead you need y.” And our game is to figure out what x and y are for the particular character, and what kind of traumatic event caused the character to believe a Lie of this form. Not sure if this is exactly ironic, but for someone who wants to be alone, the socialite is pretty lively. It’s almost like her desire to be left alone is really a mask to hide that deep down inside, she really does want to be around people, but is afraid she’ll get hurt by more criticism. When we have conflicting desires, I’m not sure that one is really on top of another. That may be more complication than you need (how would you convey layered desires through dialogue and action?). What I’m hearing is: She wants to be social (because that’s her nature), and she also wants to be alone (because of fear of criticism). Natural enough. Likewise, does the detective want to love again? Does he want to get married again? Yet he chooses not to, so that another woman won’t die? So, deep down, he wants to be alone, but chooses to be around others so that they won’t get hurt? A socialite who wants to be around others, but chooses to be alone so she won’t get hurt. A detective who wants to be alone, but chooses to be around others in order to prevent them from getting hurt. And so that they won’t have to (hopefully) go through the same hurt he’s still going through. I like the symmetry of your second paragraph, I think that push-pull dynamic works very well. Her Lie: People will hurt you by criticizing you, so to stay safe, you must be alone. He’s got two Lies: #1 Anyone you marry will get killed, so to stay safe, you must remain unmarried. And: #2 Anyone you aren’t guarding will get killed, so to keep everyone safe, you must guard them. Both of these together would make him into a sort of a yo-yo, trying to get close enough to guard her but not close enough to put her in “danger” of repeating his wife’s tragedy. If his lie #1 predominates, then you have both parties wanting to be around others, but choosing to stay distant. Is there some Lie that would make him cling to her in an annoying way? (#2 could be that) Or is he just trying to stay close to her in a reasonable way for the purpose of guarding her, and she reacts badly because she’s afraid he will criticize her? Hmm … he OUGHT to criticize her on first meeting! And she ought to threaten to die, or something. Start them off on the wrong foot. Try writing the scene where they meet, and see how it turns out. Their desires to be alone both come from fear–of criticism and superstition–and those fears will be cured by the events of the story, right? as they learn their Truths: her, that not everyone will criticize, or alternately, that criticism isn’t so bad; him, that women don’t die just from being married to him, and also that he’s not so desperately needed that everyone will die if he isn’t guarding them. If that resonates, then the next question will be what story events will teach them their Truths. 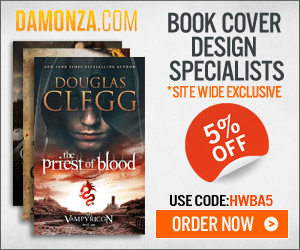 Your characters are both self-sacrificing, and you’ve framed it as wants vs. choices. What if we frame it as (neglected) Needs vs. (destructive) Wants? You could go another way: His tragedy turns him against the human race, so he wants to get close to another woman so she’ll get killed. That may be too complicated. She threatens to die (I’ve known women who did this), or she mentions that her relatives died of cancer or something and she thinks she’s got bad genes. When framing it as neglected Needs vs. destructive Wants — please bear in mind that as they get better they will abandon the Wants and tend to the Needs, and what kind of relationship will that lead to at the end of the story? So it may be time for you to write a couple of scenes and see how it goes. To top it off, his mother-in-law and five-year old son come in at the last second and when the kid also notices that his father has shaved and gotten rid of the small beard he had, the kid says he looks strange without it. The socialite says she thinks he (the detective) looks handsome without it. Cue the eyebrow raising from both the detective and his mother-in-law, along with the detective’s amused smile and the kid’s giggles. Her: Some criticism is healthy. Him: Failing once does not mean it will happen again. Or maybe, failing does not make you a failure? You are not a failure? Something like that. Whose POV is it? How does the detective feel about someone new playing that piano? Does his feeling change during the scene? How does she feel upon discovering whose piano it was — or is she not told? How do they meet? It’s a professional meeting, right, because he has a job to do. What is the setup for their first meeting? Each one is told about the other, right? How do they feel about each other before they meet — what are their expectations, are they surprised, do their feelings or attitudes toward each other change during the first meeting? If you get stuck, you can re-write that same scene, the last bit of it, from the POV of the five-year-old kid and again from the mother-in-law’s POV. Hannah, how are you doing with this? These posts about character arcs are brilliant and I’ve learned so much, thank you. I’m currently outlining my novel using Scrivener and I’m left wondering how you outline other characters. All of your posts regarding character arcs e.g. The Lie, The Ghost, seem to relate to the Protagonist although I know the Antagonist has been discussed in previous comments. How do you outline other characters? I have many characters going through my head relating to my plot, for example, the Proganist’s family and friends, mentors. Another example are minor charachters (eg an obnoxious flower seller). Do you try and find wants/needs, lies and ghosts for all of them? Sorry if I sound confused, but I suppose I am a little confused right now! Kerry, I believe the overcoming of the Lie is a positive change arc, so a character who will have such an arc will begin by believing the Lie. A character with a negative change arc will end by believing the Lie. A character with no change arc will not necessarily ever believe a Lie. The short answer is that you can create characters for as many or as few characters as you want to. I talk about that in this post: Should All Your Minor Characters Have Arcs?. Is constant/repeated failure to accomplish a specific goal (like a protagonist in a dystopian setting might face) a workable Ghost, or is it usually best to go with a singular event? Singular events are tidier. If possible, perhaps try to crystallize the long-term failures into one specific event, perhaps in which the character finally realized or admitted his failure. These posts are so thought-provoking! I’m going to have to get some of your books. I’m really confused about my MC’s ghost. I thought it was finding, when he was seven, his father dead of a heroin overdose. The result was people in his small town either treated the boy as a victim or as trash. Is that the actual ghost if his Lie is whatever people believe about him is true? (I think his Truth is that he is actually a good person.) In the end, he goes against everything he has been taught and gives up a lucrative career to stop a genocide. I’m not sure if that all fits together. It does in my head, but when I start dissecting it, I’m not sure. The theme is basically defying authority when authority is wrong. Take a look at what might be inspiring the Lie. Where did the Lie originate? What’s causing it? That will be the Ghost. Hi, I have a question. Can the Ghost be the Call to Adventure itself? Or is the Call to Adventure more like the presentation of what the main character needs? With “Call to Adventure” I mean the first stage in Joseph Campbell’s “The Hero’s Journey”. There, the Hero (that would be the main character) gets his/her goal from that call to adventure itself. But it’s not always a traumatizing event that sets a lie, when I read Joseph Campbell I didn’t have the impression that there is a lie. It’s more the character is living an ordinary life, and something (sometimes an “herald”) comes to the hero with the presentation of the adventure. The hero would refuse at first but eventually will attend the call. Should I interpret that “Call to Adventure” as the presentation of what the hero “needs”? Could it be the moment the hero realizes the ordinary life is the lie? But if that’s the case, then the switch from what the character wants to what the character needs is done in the beginning of the story, or am I interpreting all this wrong? I ask this because I was recently reading Joseph Campbell and I’m trying to connect this information about the Lie and the Ghost that is new to me, with Joseph Campbell’s monomyth. No, the Ghost should preexist the Call to Adventure. The Call to Adventure coincides with the Inciting Event, which should be placed halfway through the First Act at around the 12% mark. The Call to Adventure/Inciting Event marks the first the time protagonist properly encounters (and tries to avoid in some way) the main conflict that will come fully into play at the First Plot Point beginning the Second Act. So, I think I figured out the ghost for my characters Dani and Kes. For Kes, it’s “the past memory of being weak and helpless.” Which ties into her lie that she has to be stronger, faster and smarter to protect those she loves. For Dani, it’s “the knowledge of people’s deceit.” This ties into the fact that Dani has the ability to read souls. Also, the ghost ties with Dani’s lie which is that people can break you with their lies.